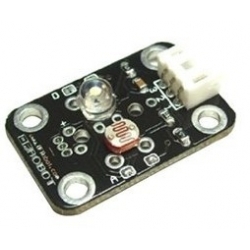 The DFRobot Grayscale Sensor is an analog sensor. It is a special sensor with arduino expansion boards. The Gray-scale sensor interface uses PH 2.0 socket. The power supply needs the same controller, typically for 3.3V or 5V.